John Appleton was an American lawyer, politician and diplomat who served as the United States' first charge d'affaires to Bolivia, and later as special envoy to Great Britain and Russia. 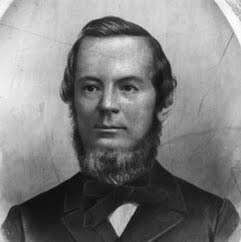 Born in Beverly, Massachusetts, Appleton graduated from Bowdoin College in 1834 and attended Harvard Law School from 1835 to 1836. On leaving Harvard, he became a barrister and newspaper editor while maintaining a vigorous involvement in Democratic politics. In 1840 he was appointed as registrar of probates for Cumberland County, Maine, and in 1845 became Chief Clerk for the United States Department of the Navy. In January 1848 Appleton was promoted to Chief Clerk of the State Department, but resigned in March when he was named as the United States' first charge d'affaires to Bolivia. The posting was unsuccessful, and Appleton resigned after six months service and returned to the United States to pursue his personal political interests. In 1851 he was narrowly elected to Congress, representing Maine's 2nd congressional district. As a Congressman he became noted for his oratorical skills, and was selected to give the obituary address for former Senator and Secretary of State Daniel Webster in 1852.